OAKLAND, Calif. -- TSA agents in Oakland are being credited with stopping a potentially dangerous situation when they spotted an unusual item that someone tried to get past security. 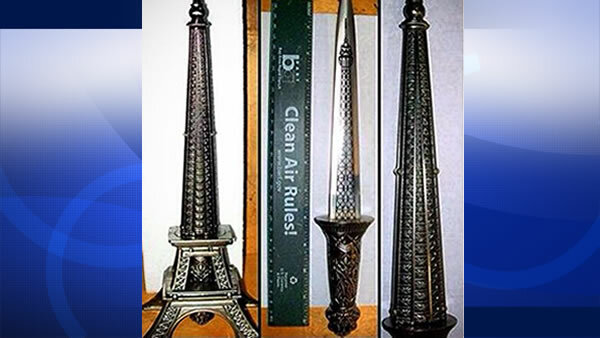 A TSA spokesperson tweeted out a picture of a dagger hidden inside a replica of the Eiffel Tower. There is a similar item for sale on Amazon for about $20. The description says the blade is more than 8 inches long.